No city mirrors the phrase ‘The best of both worlds’ better than Tokyo. It’s a metropolis pulsating with contrast where the old meets the new, where nature meets skyscrapers and where technology meets tradition. As one of Japan’s 47 prefectures, Tokyo is Japan’s capital and the world’s most populous metropolis. It is home to more than 13 million people and an endless discovery to all visitors. Thanks to The Luxe Nomad‘s recent global expansion, the travel website has added several gorgeous, private properties to their portfolio such as this one called Meiji Loft. With welcoming yet minimal interiors, it’s the perfect home-away-from-home with all your needs sorted. It even comes with a fully-equipped kitchen, Apple TV, and more. Read also: Where to Stay in Tokyo: Shibuya or Shinjuku. There are just too many to name but let’s start off with the most iconic landmark (albeit quite the tourist trap as well)—the Tokyo Tower. At 333m (only 13m taller than the Eiffel Tower which was the inspiration for its design), the 1958-vintage tower is still worth a photo stop even if you don’t wish to pay to go up to the observation deck at 145m. Instead, save your money for the more expensive (and newer) Tokyo Skytree which offers a spectacular panorama from its lower observatory. You’ll be able to get some shopping done here too since it includes a shopping centre at the base. Tokyo isn’t just breathtaking from all the way up; rather, it’s best experienced on the streets among the hustle and bustle. With Shibuya Station behind you and clusters of buildings with bright neon signs and a large TV screen in front of you, the Shibuya Crossing is the best place to witness this. Once the pedestrian light changes, watch as hundreds of—if not over a 1,000— people cross the wide intersection from all directions at the same time. Good luck trying to dodge them too. While you’re there, don’t forget to pay Tokyo’s most famous dog, Hachiko. 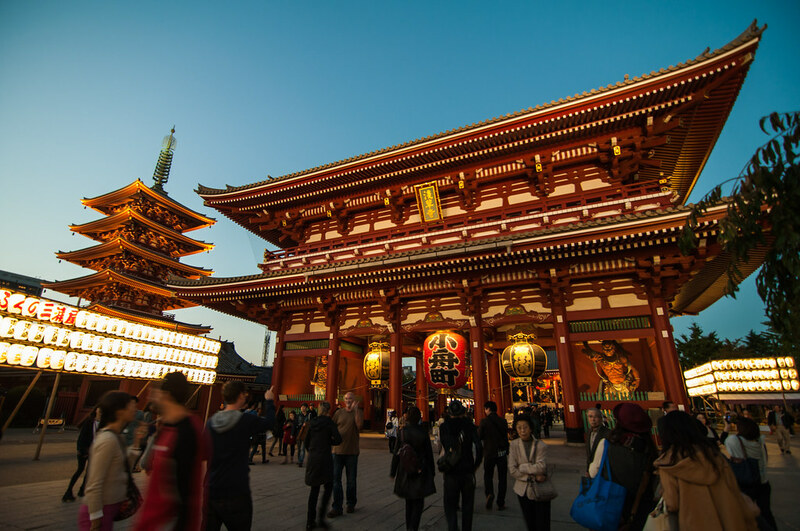 When it comes to the more traditional side, head to Senso-ji temple in Asakusa. It enshrines a golden image of Kannon (the Buddhist Goddess of Mercy). Though she has never been on public display, the temple remains Tokyo’s most visited. A large incense cauldron sits at the front of the temple where the smoke is said to grant good health and thus, you’ll see visitors rubbing it into their bodies or clothes. For a look into Japan’s Shinto religion, Meiji-jingu near Harajuku is a must-visit. It’s Tokyo’s grandest Shinto shrine is dedicated to the Emperor Meiji and Empress Shoken, but beyond its history, it’s also rather picturesque as it’s located on forested grounds. As you make your way to the shrine, you’ll see the towering 12m wooden torii gate that was created from a 1,500-year-old Taiwanese cyprus. 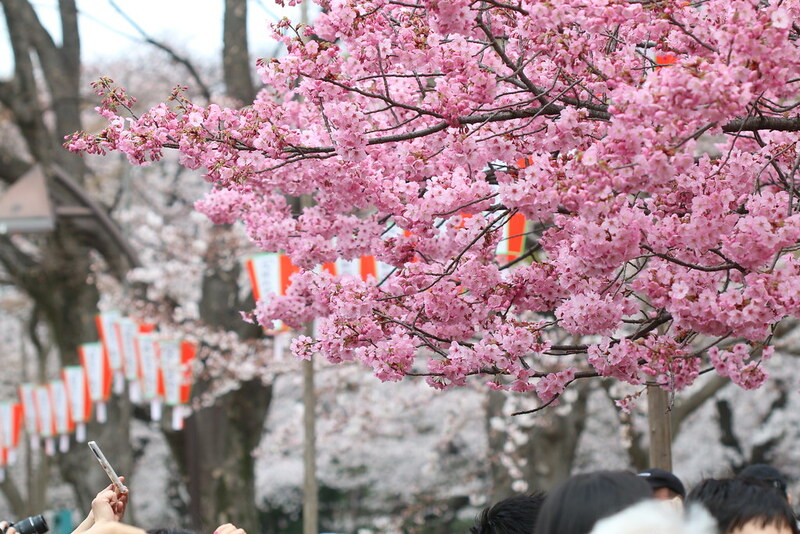 Should you visit Tokyo during the cherry blossom season, Ueno Park is a favourite spot for hanami(cherry blossom viewing) among the locals. But it’s not the only thing you can do there. It’s also famous for being home to many museums. One of which is the Tokyo National Museum which comes highly recommended. You’ll find the world’s largest collection of Japanese art, including ancient pottery, samurai swords, gorgeous kimonos and more. Last, but not least, everyone talks about the Tsukiji fish market when visiting Tokyo. The large wholesale market for seafood as well as fruits and vegetables is famous for its early morning fish auctions. The fish market was due to move on 7 November 2016 but this has been delayed due to pollution concerns at the new site. One of the greatest things about Japan is its food – did you know that Tokyo holds the record for having the most Michelin-starred restaurants? The Michelin Tokyo 2017 guide lists a staggering 227 restaurants as opposed to Paris with 92 Michelin-starred restaurants. Four particular restaurants have managed to maintain their coveted three-star rating and they include legendary French chef Joel Robuchon‘s eponymous fine-dining restaurant and famed sushi place Sukiyabashi Jiro Honten. On the other hand, if you find the latter over-hyped, “Tokyo Fixer” Shinji Nohara recommends Shin, a small sushi bar run by chef Shintaro Suzuki that has received a Michelin star six years in a row. Nohara is known to be a true Tokyo guide who can bring his clients to Japan’s best hidden gems — without waiting in line even! If that name doesn’t ring a bell, know that he was the guy who took Anthony Bourdain to try fugu (puffer fish) when the chef visited Japan. In 2015, a ramen restaurant was recognised for the first time in the Michelin Tokyo guide and two good spots to visit for a steaming, solid bowl of ramen are Nakiryu and Tsuta — both with one star. For overall fantastic Japanese cuisine, there’s Narisawa. 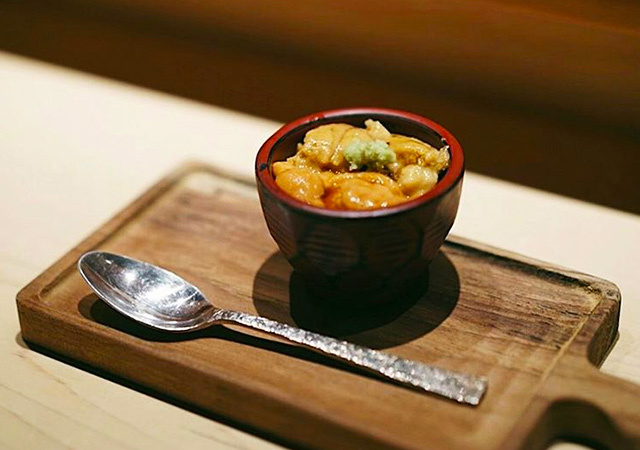 With chef Yoshihiro Narisaw’s unique cooking style named Innovative Satoyama, it was recently awarded Best Restaurant in Japan and placed sixth in Asia’s 50 Best Restaurants 2017. The menu here comprises mostly of sustainable ingredients and is a modern take of Japanese-Western influences. Once the dinner party is over, it’s time to hit the bars for some well-curated concoctions and we hear Gen Yamamoto is the Sukiyabashi Jiro of the bar world. He uses fresh juice for each drink and serves a tasting menu of cocktails strictly by reservation only. Alternatively, there’s Bar Ben Fiddich where proprietor Hiroyasu Kayama uses homegrown plants and a mortar and pestle to reconstruct classic liqueurs and spirits.